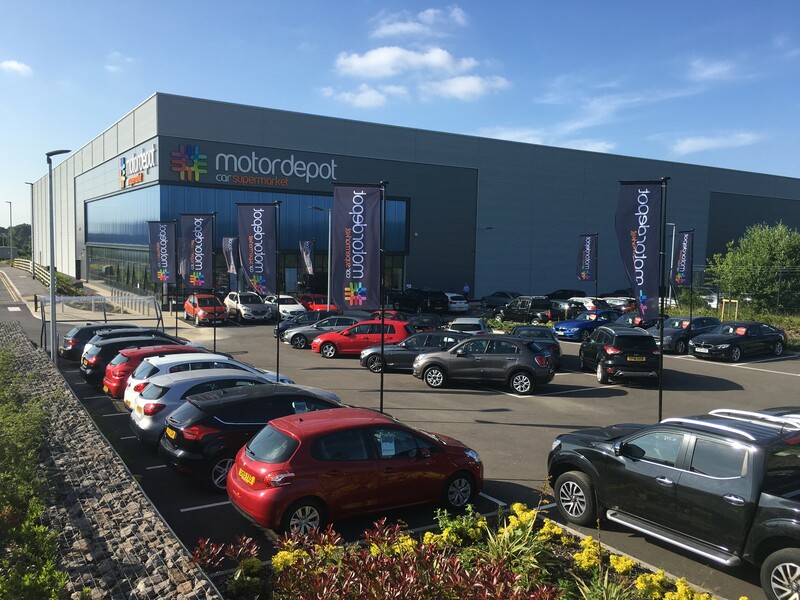 Motordepot, one of the UK’s fastest growing car supermarket groups are delighted to announce the opening of a brand-new retail site in Barnsley, South Yorkshire. Conveniently located just off the M1 at junction 36 on the Dearne Valley Parkway, the purpose-built premises will accommodate over 400 vehicles and boasts an impressive 75,000 square foot of internal display space coupled with a state of the art vehicle preparation centre. Having created around forty new jobs in the immediate area, Barnsley becomes the eight branch in Motordepot’s growing portfolio, closely following the completion and successful opening of their Newcastle branch in January. The company has existing established sites in Birmingham, Grimsby, Hessle, Hull, Scunthorpe & Worksop. Managing Director Stephen Butterley explains “Barnsley is a great place for us, and the opportunity to acquire such a prestigious site as this reinforces our commitment to accelerate the growth of our brand within the wider Yorkshire region. “We're really excited about our new team at Barnsley, they’ve all adopted our culture straight away, it’s all about providing our customers with the best buying experience possible, in a simple, transparent and ethical way”.